*A $100 deposit is required to hold your appointment. This will be used towards your service the day of. I have a cancellation policy of 48 hours. If 48 hours notice is not given when canceling, your deposit becomes nonrefundable. Permanent makeup is a service done to enhance the appearance of your natural brows. There are two different techniques used in permanent makeup, Microblading and Microshading. A consult will be done to determine which technique is best for you, a combination of the two is an option as well. A shape will also be chosen by measuring facial features and bone structure before the procedure is done. Microshading is done using either an electric hand tool or a manual tool, which creates a soft, powdered effect that resembles eyebrow powder”. Instead of the hair stroke typical with microblading, microshading employs a stippling method, which uses repetitive dots of pigment. It's like the pomade or powder to microblading's pencil strokes. 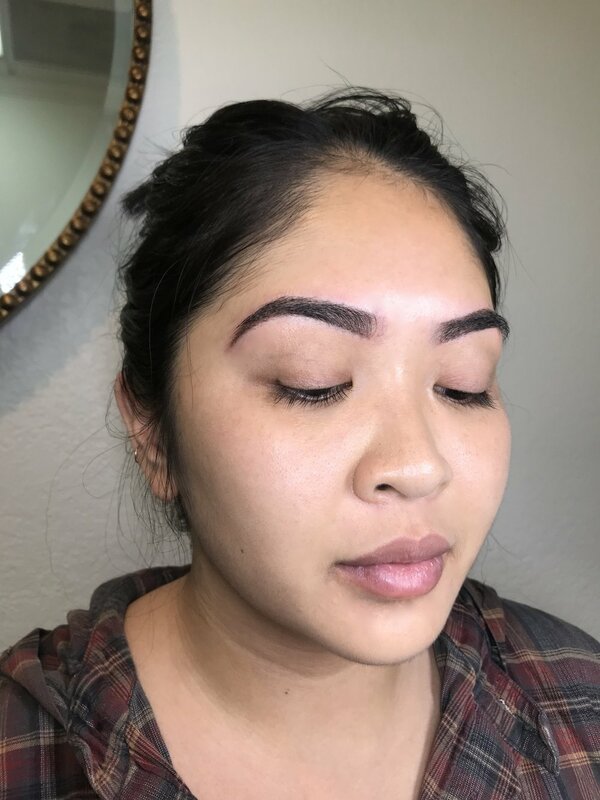 Microblading is a technique using a super-fine pen (technically, a bundle of 12 to 15 needles) to deposit pigment into skin. The tip is so fine, in fact, that it creates hair strokes that look like the real thing. Think of each stroke as a little paper-cut. 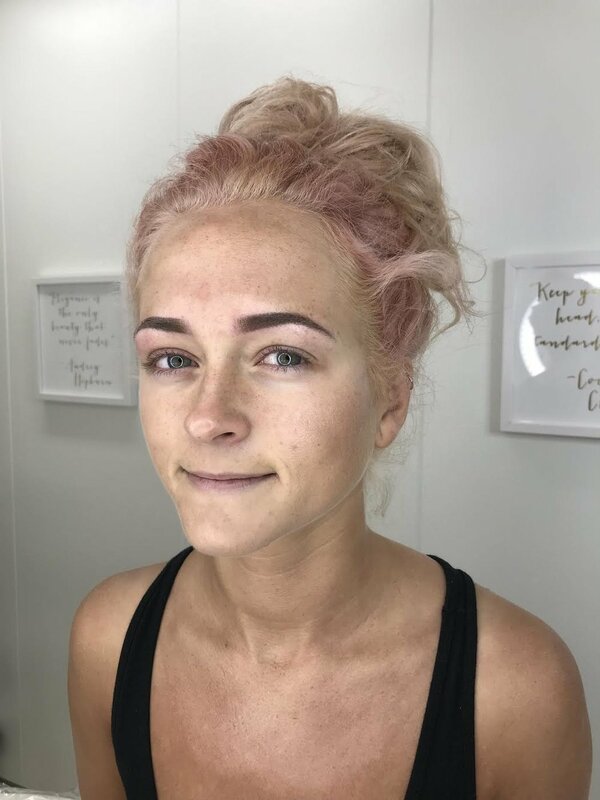 Compared to other techniques, microblading gives a very natural look and better simulates hair. It is more uncomfortable than painful, although this will of course depend on your pain threshold. A topical numbing liquid may also be applied to minimize discomfort during your service. The healing process is about 6-8 weeks before you are due for a touch up appointment, where we can always go darker and add more density! Most clients need two sessions and a refresher every two years. This can not be guaranteed because everyone’s skin is different, so everyone’s pigment retention is different. However, aftercare plays a huge role in this. Permanent makeup is not for everyone, there are several contraindications that come into play, and results will vary based on skin type. Contact Glamour by Tiffany to make sure you’re a good candidate for this treatment!